Being a leader in this industry, we are devoted towards providing a premium quality array of Bench Planes. We are offering Block Plane to our client. 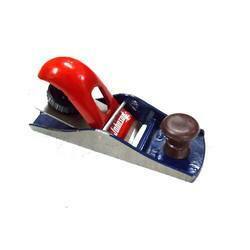 This Block Plane is economical very light & is easy to use general purpose. The product is also known by its Italian name as pialletto falegname Tipo "Hobby". 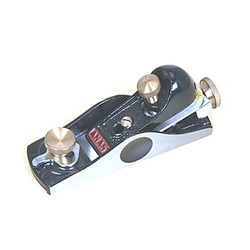 By utilizing skills of our dexterous workforce, we are manufacturing and exporting a comprehensive assortment of Jack Plane. Made from fine grey seasoned iron castings. Induction hardened and ground EN-42 steel blade. Anti-Termite treated and seasoned wooden handle. Polished and laquered to high finish. Nickel chrome plated. Polished plate. Stoving clear laquered. Backed by a team of talented professionals, we are able to manufacture, export and supply high quality Woodworking Hand Planes.The Woodworking Hand Planes made by us are extensively used in furniture making companies. We manufacture these Woodworking Hand Planesusing high quality material which assures their excellent functioning and high quality.